This week: the best burger in every state, the most convincing magazine parody, how to be yourself, a four-year-old astronaut in everyday places and more. The most exciting part of opening a new store is, invariably, meeting the people in our new neighborhood. We always seek out local creatives, from chefs to artists to makers (aka the people who are really influencing the culture) to get fully acquainted with our new digs. Case in point: our new store in Williamsburg, Brooklyn, where seven inspiring women—from an urban farmer to a perfumer—made our opening night extra special. 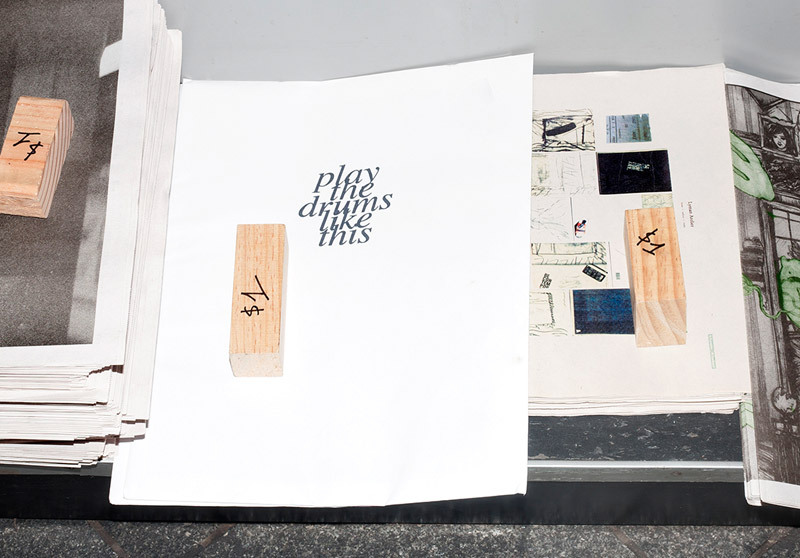 Designers Cary Vaughan and Jenna Wilson have never met a stripe or plaid they haven’t liked. You might say they’re obsessed. In fact, woven textiles with variations of the patterns are what Ace&Jig, their four-year-old boho apparel collection, is all about. Another obsession? Slip-on, slip-off pieces that get you out the door quickly—the two entrepreneurs are also moms. (FYI: Their children inspired the line’s name: Cary’s five-year-old daughter Alice’s initials spell ACE, and Jenna’s six-year-old son James’s spell JIG.) We caught up with the designers as they planned their next shopping trip to the markets of Marrakech and chatted about their collage-like approach to fabric design and the unexpected textures they love. You’re friends who work together. Sounds pretty great. How’d that happen? We met as interns at Language—a label that’s no longer around—and then both joined LaRok as creative directors. After a few years there, we decided it was time for a break. We each got married, had children and then founded Ace&Jig. So has the fact that you’re both mothers influenced the collection’s aesthetic? We are usually dashing about, so our collection is a realistic portrayal of what we want to be wearing in our everyday lives—something easy to throw on, special enough to be a signature, timeless and comfortable. No two Ace&Jig patterns look the same. How do you manage to pull that off? We have vast antique textile collections and pull from these, as well as from heritage cloth around the world. We’re always inspired by the woven stripe. And all cultures have a history of woven cloth—we’re just making new stories with ours. A big focus for us is collaborating directly with weavers in India to create custom patterns; we work with a man who’s been running the looms and developing fabrics in India for over 25 years. We pick the yarns and he dyes them with his bare hands, always considering how the fabric feels to the touch. Our textures are always evolving. Let’s talk about other textures you love. In food? When we’re in India in May, we go through cartons of Alphonso mangoes. Buttery soft, and they have a very short season. Filiki Tulu rugs from Anatolia, Boucherouite rugs from Morocco, Boro rugs from Japan and all types of rag rugs. To hang on your walls? 3D texture dominates for sure. We’ve hung quilts, weavings, rag rugs, oil paintings with rich layers, plus a revolving display of our kids’ art. We’ve even used hula-hoops as frames and woven our scrap fabrics across them. And when it comes to music? To see how the two spend their days in Brooklyn during the warmer months, click here, and peruse their patterned pieces here. The owner of LA boutique Brook&Lyn (before you ask, the shop is a Brooklyn transplant), Mimi Jung has an easy, whimsical-meets-modern aesthetic we can’t help but admire. 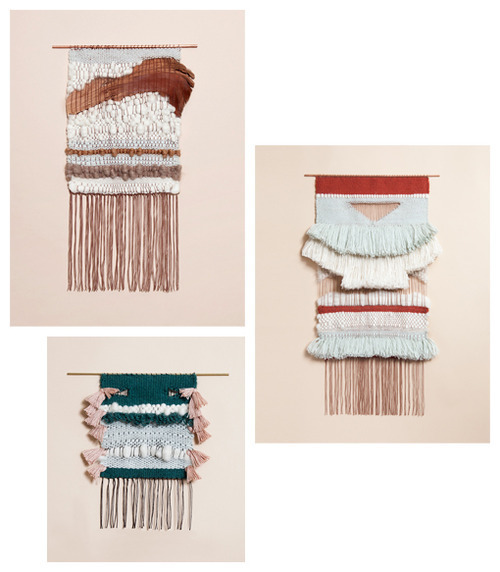 A graphic designer with her own jewelry collection, she has also recently started making the most incredible one-of-a-kind woven wall hangings. We lust after each one (and dream about them livening up our apartments), so naturally we needed to know more. Here, we get the story from this multitalented artist. How did you get into wall hangings? About two years ago, I took a short weaving workshop in Brooklyn before moving out to LA. I forgot about it until my husband built me a loom to play around with at home. Something about weaving and the LA lifestyle just fit so beautifully together. They’re so intricate—how do you decide where to start? I’m inspired by color first and then I work on the composition. Color inspiration can come from pretty much everywhere: a film, a stranger’s outfit, even a row of houses. How long does it take to make each one? It depends on the size, but even the smallest ones take about forty hours per piece. Do you have any at home? I have one that I love that lives in our living room, a pair that live in the studio and another one that’s guarding our hallway. There are no rules about hanging weavings—they’re like pieces of art, you can hang them wherever you see fit. Who is your textile artist hero?